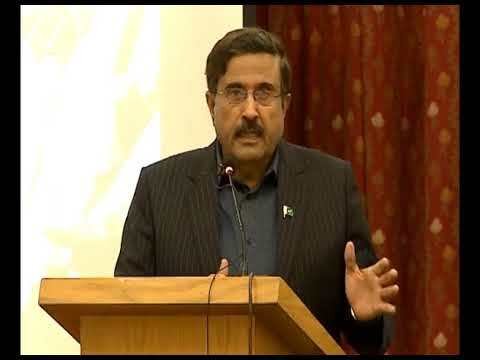 KARACHI: Advisor to Sindh Caretaker Chief Minister Brigadier (r) Haris Nawaz on Tuesday said that role of print and electronic media in the General Election-2018 is very crucial as the media can raise awareness among masses by highlighting the manifestoes of political parties and eligibility of candidates. He expressed these views while talking to the members of All Pakistan Newspaper Society (APNS) during his visit to the APNS office. He said the law makers should be the experts in legislation. He informed that 5576 polling stations across Sindh have been declared sensitive where 20 thousand CCTV cameras are being installed. For the purpose, NRTC has been given the task and the company has started installing CCTVs from July 3 which would be completed by July 22. The sensitive polling stations would be monitored through these cameras. The hard disks of these cameras would be handed over to the Election Commission of Pakistan (ECP) after polls. Brig (r) Nawaz made it clear that no candidate would be provided police security guards neither private guards were allowed however the candidates were allowed to keep guards of registered security companies. No security guards would be permitted to enter polling stations. Advisor to CM said the armed forces of the country were sacrificing their lives for the elimination of terrorism while the nation stood behind the forces. He said the effective policy was the need of hour for overcoming the water crisis. Replying to a query about CPEC, he said interests of local industry should also be considered. To another question, he said the interim government was bound to cooperate with ECP for the transparent, free and fair conduct of general election. Answering to a question about jails, Haris Nawaz said the government was bringing reforms in jails due to which conditions of jails were improving. Quality of food for prisoners and cleanliness in jails have improved while the inmates are being equipped with different skills. He invited APNS members to visit the jails review reforms brought by the government. Earlier, he was welcomed by APNS Senior Vice President Qazi Asad Abid and General Secretary Sarmad Ali. Members of APNS executive committee Faisal Zahid Malik, Mukhtar Aqil, Najam-ud-din Shaikh and other members were also present on the occasion.